This is another good news to entire Nigerians, as Nigeria’s senior women’s basketball team, D’Tigress have just qualified to the quarter-final of the World Cup after a nervy 57-56 victory over Greece this afternoon. Evelyn Akhator recorded a 14-point, 13-rebound double-double performance in the win. They will play the USA on Friday. 0 responses on "World Cup 2018. 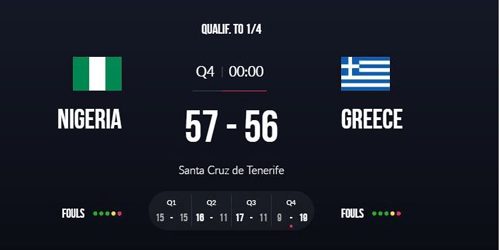 Nigeria D'Tigress Defeat Greece 57-56. Qualify For Quarter Final"